My desire to improve the lives of others led me to specialize in orthodontics, and I have selected a dedicated team, who shares this goal. I founded the local Greater Tucson Chapter for Smile for a Lifetime Foundation offering free orthodontic treatment for children and teens in Southern Arizona who otherwise could not afford treatment. Please click here to apply. I have been doing dental work at the St. Elizabeth Health Center since 2004. I am also working with Smiles Change Lives® to give underprivileged children affordable orthodontic treatment. Every smile straightened, is a life brightened. Every Smile is catching—every time a smile is used, another person's day is brightened. At Just Smile Orthodontics, we are working to make the world a brighter place, one smile at a time! I am proud to partner with Smiles Change Lives (SCL) to bring essential orthodontic care to children in need in the Southern Arizona and Tucson community. Smiles Change Lives, a national nonprofit organization, was founded in 1997 to provide access to affordable orthodontic care to children from low-income families. 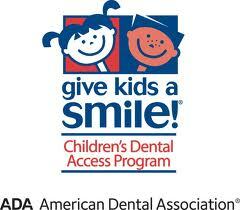 Since the program's inception, SCL and its partner orthodontists have treated more than 1500 children nationwide. To learn more about Smiles Change Lives visit www.smileschangelives.org. I have written several papers regarding my advanced oral health research, which have been published in respected scientific journals. See more details here.